← The Guatemalan Bus System. Everywhere, Guatemala. We arrived in Panajachel and were immediately mesmerized by the stunning scenery. 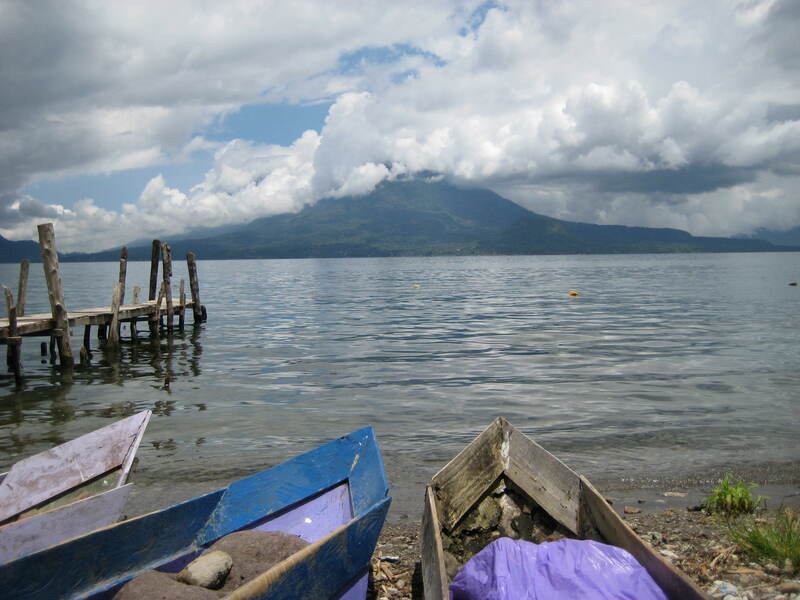 Situated on the picture perfect Lago de Atitlan, we thought the best way to explore would be on foot. We took off on a 4 kilometerwalk, only to later find ourselves on a private boat with complete strangers that we now call our friends. The day began with us walking at a very brisk pace towards a neighboring town. We chose to walk mostly in part we, actually mostly I, was to cheap to pay fifty cents and use public transportation. But it turned out to be a nice walk. We were able to see Guatemalans and their lifestyle along the way, as well as catching some magnicfificant views. Arriving in Santa Catarina, we had one thing in mind…food. We were able to find a cheap place on the water…allowing us to relax for about an hour or so. On our way to lunch, we ran into two middle aged women who we struck up a conversation with. 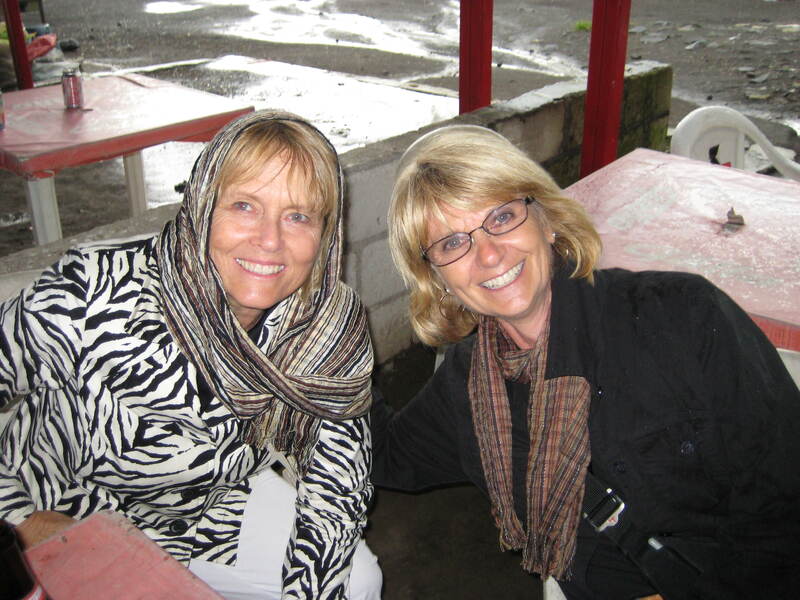 Jenny and Sherry, both from California, were in Guatemala for approximately ten days and had only one day to explore the surrounding area of Lago de Atilan. When time is short, the best way to do this is to hire a private boat and dr iver. After casually conversing with them over lunch, they invited us to join their entourage. Since the costs of the boat was already covered, Josh and I only had to pay approximately $6 a piece to join…which was paid directly to the driver. Off we went. Next stop was a town just to the east called San Antonio. There was n othing special about this, although we were able to witness Mayans weaving the numerous blankets that are constantly for sale. We hiked to the top of the hill where a church was situated, once again offering an exquisite view. 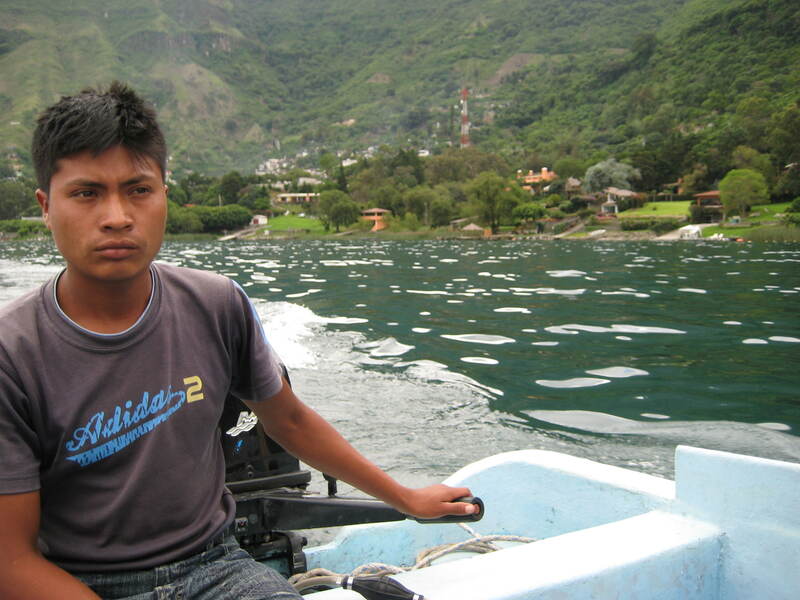 Next stop was about 45 minutes across the lake to Santiago Atitlan. Sadly, when we got there, it was raining pretty heavily, so instead of exploring, the four of us decided to do what we do best…drink beer. We sat for about an hour enjoying the temperate climate while conversing about our past travels. 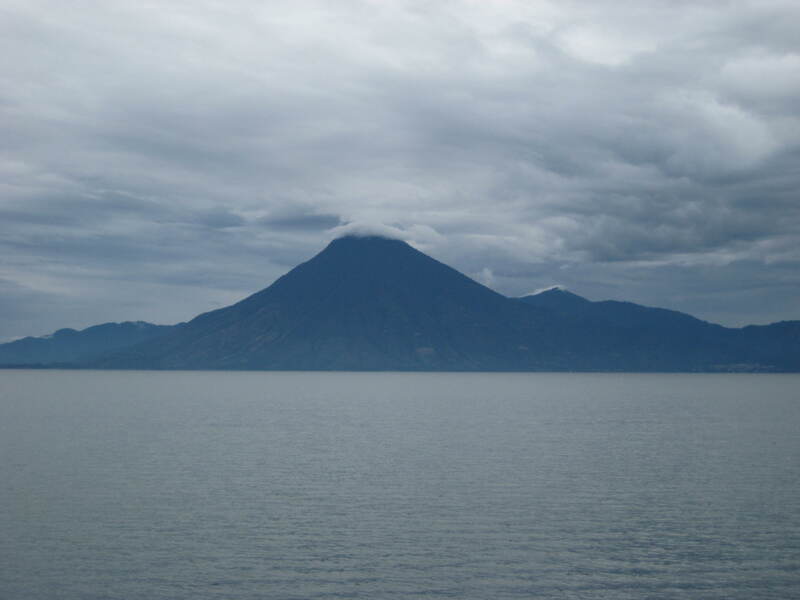 Due to the rain, we decided to head back to Panajachel, which was once again, about a 45 minute boat ride. It’s amazing to see what will fall into your laps just by the start of a friendly hello. sounds awesome cuz! I cant wait to read more…. but try and shower.. somehow…sometime. What age do you call middle age?? ?….sounds like fun….when does Josh head backhome?